This month there was another horrible crash, that killed 62 people. Preliminary reports attribute fatigue. The captain was said to have resigned, due to the schedule and excessive fatigue, but was finishing his contractual obligations. I have written numerous posts on fatigue, because fatigue kills. The fatigue issue is also a central theme in all my novels. 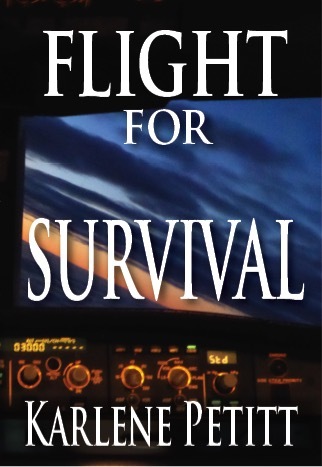 And the newest novel, Flight For Survival is no different. One might think that FAR 117 would have solved the problem in the U.S. But when Darby is forced on an international trip after her company flies her across the country on her own time, you will see how easy it is to work around any rule and FAR, if an airline lacks a safety culture. When accidents continue to occur we know the battle on fatigue has not been won. My promise to everyone is that no matter what happens, I will not stop this pursuit and my fight for safety, and will continue to do my best for continued improvement. Join me in my achieving My One Wish for Aviation. We have a PhD to work on together!!! Fatigue whether at ground level or at altitude is bad, you also have to take into account though the strains on body at altitude, the cabin air and whether enough rest between duties. But with airlines competing more against each other, they are going to, look at ways to go around rules, and if you don't like it they'll say someone else will happily. But your decision time your overall will/ would be greatly affected ,and maybe, if true of "FLY DUBHAI" and Captain fatigue, he would have approached the issue diffently and diverted, but, then again, time money. If it is true, then "FLY DUBHAI" has a lot of questions to answer. Mark, Thank you for your comment. Fatigue is a serious issue, and the sad thing is, difficult to self diagnose levels of performance when you get to that critical state. We all say we will not drink and drive. But...that first beer or two, people the think they are fine because their mind is altered. Fatigue is the same as being drunk! 17 hours awake is equivalent to a blood alcohol level of 0.05. 21 hours awake is the same as 0.08 alcohol level, and 24-25 hours awake is then same as a blood alcohol level of .10. With all this said, the pilot alcohol level is .04! That means that 17th hour awake the pilot is flying drunk with fatigue. And... those numbers are isolated events, they do not take into account the impact of accumulated fatigue! There is a reason for legality. And we have much work to go, if leadership does not understand the impact of fatigue and scheduling issues to make the mission happen. Thanks again for your comment!! Hi Karlene, So good from you to write about fatigue again. It can cause mental and physical health problems. Everyone knows that nights with little sleep can break a person up. it can cause a lot of accidents too, because people being exhausted are easily distracted and paying less attention to certain situations, this effects work and general behavior. In your line of industry, airline business, it is even more dangerous. Pilots make long hours and traveling through timezones every time they get easily exhausted, layovers are generally short. 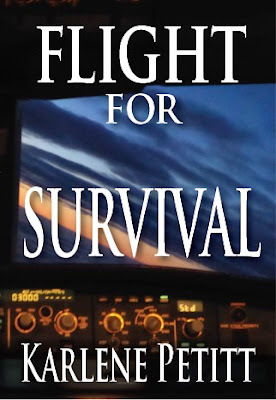 Flying has to be safe, passengers trust their lives in the hands of the pilot. Every blog you write has a message in it and we should learn from that message. You know you have a lot of followers in the Netherlands, airline people too and we are so happy you write about things like this. You are being a big inspiration for us all. Keep on writing your blogs and books about all the different situations that might happen, so we can learn from them. An, Thank you so much for your support. And I am glad I can help. There is a real need to do work from a practical point. And the reason I am pursuing my PhD. Thank all my friends in the Netherlands!